I was blessed to receive this invitation only event which was held at Mint Tea in Uptown Vancouver. Bader Beer & Wine supply sponsored the event and many of the proceeds went to Share which is a group that helps the hungry and homeless. Mint Tea ended up being the perfect spot for the event, and was just about at capacity. Tables with the beers, snacks, and homebrewer's were set up outside as well as inside upstairs in various rooms of the establishment. 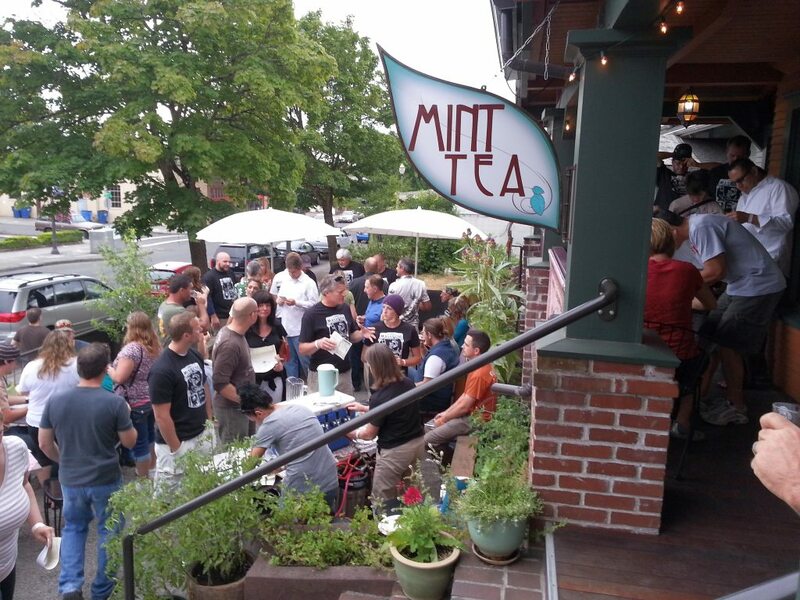 (For those that haven't been to Mint Tea, it is a house converted into a wonderful dining experience). The event started at 4 pm and I didn't show until about 6 pm. It ran until 8 and then some. 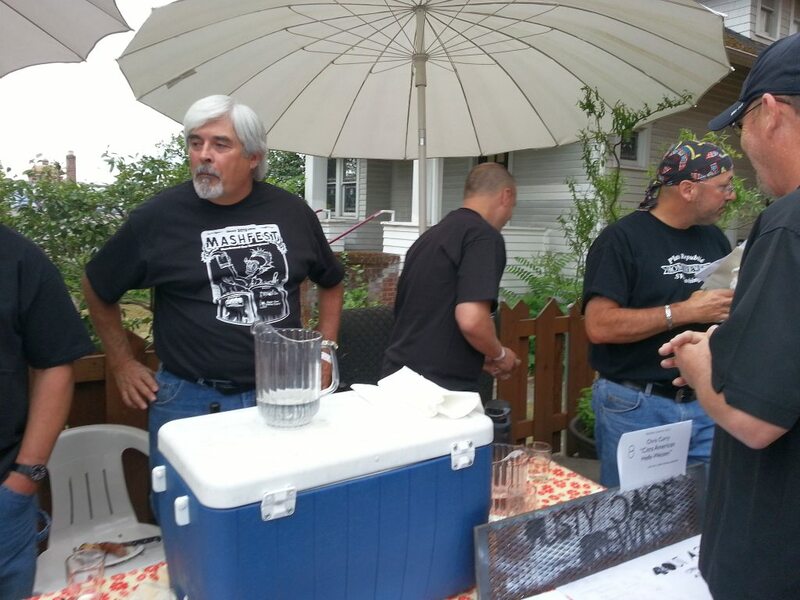 There were over 15 brews to sample, and wonderful inexpensive plates of food for the crowd. The ticket price was $16 and that covered everything beer related. A small glass sample glass was provided along with a wrist band. There were no tokens for the beer, it was a "drink-it-all-up" kind of event. I for one don't think tokens should need to be purchased on top of an already existing admission price for any beer festival. Kudos for that! The pamphlet that was provided listed all the homebrewer's and their beers, and the spots were numbered. This event was a vote to see who topped the rest as favorites. A favorite, Natalie Metzger seemed to have overwhelmingly won the crowd over with her Shanghaied Summer Ale. 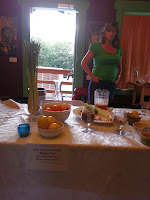 Patrick Edenfield showed with a light drinking Summer Mead that was a hit as well. Justin Ford arrived with a Dopplebock that was as well a crowd favorite. A favorite of mine as well was the Shanghaied Summer Ale, which was a Lemongrass-Ginger Pale. 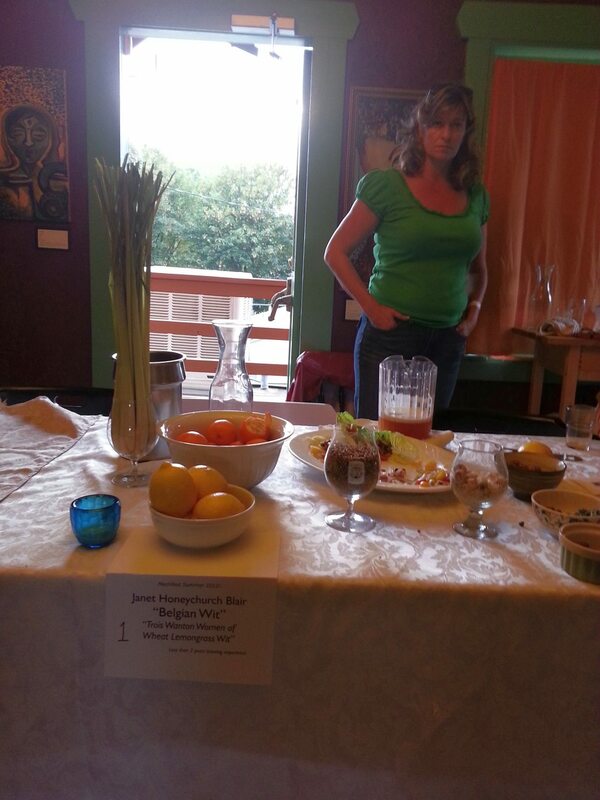 Right next to her at the table was another favorite of mine, the Trois Wanton Women of Wheat Lemongrass Wit from Janet Honeychurch Blair. It was a pleasantly balanced with made with orange zests, coriander, lemongrass, and other specialty ingredients. The best IPA in the group I feel was Matt Malone's Sleeper Lifter IPA, a Citra hopped robust IPA. Worthy of mentioning was a nice whiskey and woody Irish red ale which was smooth, tasty, and unique from Steve Howard. The votes were cast, and I was enjoying my dinner of a nice chicken sausage stuffed with herbs and cheese, fried potatoes, and cole slaw. Prizes were provided by Bader Beer & Wine Supply, By the Bottle, Mint Tea, Vancouver Pizza, and Mt. Tabor Brewing. The grand prize was a nice hydro-flask growler from Mt. Tabor brewing that would be filled w/ any Mt. Tabor beer upon their arrival to the taproom. Following were fantastic tasting and pint giveaway's coupled with pizza for 2 from By the Bottle and so on. 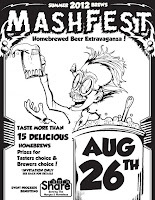 If other local Vancouver Homebrewer's were interested in such an event, one should contact Bader Beer & Wine Supply for information. 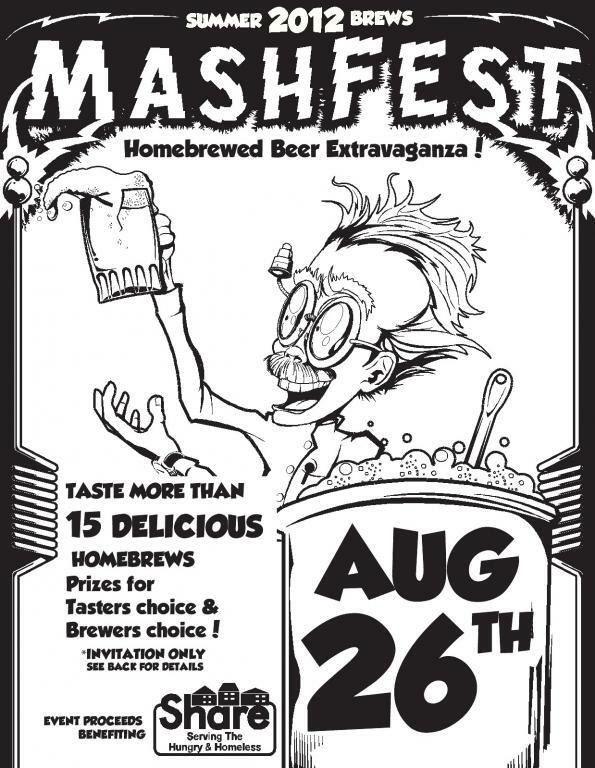 A Spring MashFest for 2013 is planned for late February or Early March.